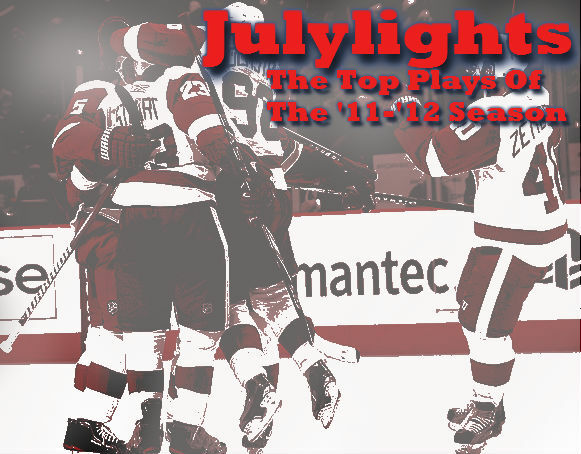 This is Martin Brodeur's second appearance in "Julylights", his first spot was at the expense of two Islanders getting robbed point blank, and he does much of the same to Phill Kessel of the Toronto Maple Leafs in today's highlight. Is there anything better than Kessel's face after the save, a smile that almost says, "Man I'm going to be on Youtube later tonight." Brodeur recently signed a new two-year contract with the Devils, so hopefully we get to see more saves like these before Brodeur's final curtain call.